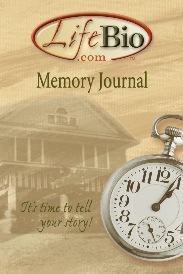 Clay County Senior Services is pleased to offer these Memory Journals to older adults in Clay County. If you would like to write your life story, or if you would like to help an older adult write their story, call us! Over 100 studies over the last 10 years have found that reminiscing lowers depression, alleviates physical symptoms, and stimulates the hippocampus where memories are stored in the brain. In fact, Dr. Gene Cohen, a noted authority on creativity and aging, says autobiography is like chocolate for the brain--especially in older adults. One very affordable and easy way to work the brain is to think about your memories and experiences. Life review has also been found to touch all seven dimensions of wellness: physical, emotional, social, spiritual, intellectual, vocational, and environmental wellness. It is a natural part of elderhood--although people at ALL stages of life can benefit from a look back at the past. Call our office today to find out how you or your loved one can get a copy of the LifeBio Memory Journal.